Online donations have transformed the charity sector in recent years, and now that Facebook is getting involved, this transformation will only accelerate. Online donations have transformed the charity sector in recent years, and now that Facebook is getting involved, this transformation will only accelerate. Facebook has had a ‘Donate’ button in the US since 2015, with the feature helping to raise $10m for victims of Hurricane Harvey and $16m in just a week following the Nepal earthquake. Since September, the ‘donate’ button has been available in the UK and Europe. This is a compelling proposition because it means Facebook’s 35 million active UK users will no longer need to leave the platform to make a donation to a charitable cause. Users simply click on the call to action button, fill in their bank details and bingo. Also, by utilising Facebook’s existing advertising network, charity ads can be carefully targeted, which means that users are only asked to donate to causes that mirror their own interests. Until recently UK charities had to pay a 5 per cent fee on each donation made via Facebook: 3.5 per cent to cover costs and 1.5 per cent for payment processing. This was the same price as JustGiving, which made Facebook’s donate proposition incredibly disruptive to the charity sector. However, in a recent announcement Facebook is now eliminating its fee on donations so 100 per cent of funds sent through the Donate buttons go to the desired non-profit – although personal fundraisers can still incur fees from 6.9 per cent to 8.8 per cent. Facebook was JustGiving’s top referrer in the UK back in 2014, with more than £60m donated to good causes advertised on the site. While this announcement might have created panic inside the JustGiving HQ, it’s actually a strategic opportunity UK charities can’t afford to miss out on. For one, it will eliminate the need for charities to keep complex consumer data – an attractive proposition given the impending GDPR. 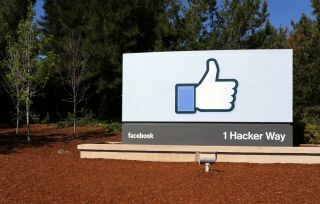 Facebook will also make it far easier for charities to run direct response campaigns, with its audience measurement tools able to track ROI and prove the effectiveness of a campaign. However, while Facebook’s donate button may look bright and shiny at the moment, charities shouldn’t rush into using it. Donor fatigue is a very real thing right now, with many Britons getting tired of being constantly asked to donate. If charities aren’t careful, it could feel like a persistent street canvasser has simply migrated onto the consumer’s web browser. Charities need to remember that the Donate button should only ever be used within relevant content; if organisations just slap it on every Facebook post, they are likely to annoy more people than they engage. For this reason, Donate Now shouldn’t be plastered on every piece of storytelling; a user must fully understand what problem they’re helping to solve, as only then will the donate button have earned its spot. It may also be a good idea to use the ‘donate’ tools alongside video marketing. If charities target people who’ve watched a high volume of their video content or have explored at least 50 per cent of a Facebook canvas, for example, this audience is much more likely to feel engaged – and therefore more likely to donate. In order to make the most of the medium, charities must also get creative. If, for example, you’re an animal charity, why not create a feed of the current animals in your care, with a donate button under each of their pictures? This call to action will help to join up a user’s experience. Ultimately, if charities want someone to feel good when they donate, the new Facebook Donate tools must complement a 'good' moment. If organisations just assault users with demands the second they click on the web page or watch some advertising, they will turn that guilty feeling into resentment and, ultimately, a rejection of the charity’s core message. Given all of these warnings, it might sound like a bad idea for the donation tool to spill over into all Facebook-based brand building and storytelling – but there are exceptions. Pop singer Ariana Grande’s benefit concert to honour the victims of the Manchester terror attack back in June raised more $500,000 by smartly using donate buttons within a live Facebook Live stream of the event. In most cases, for charities to get the best results, users must understand the story the charity is telling, what a potential donation will achieve, and what problem the organisation is solving – but if there’s a disaster or tragic event that’s in the national interest, the donate button is more than justified. The truth is that Britons are feeling overwhelmingly apathetic to the charity sector at the moment. Four out of five charity donors rate their level of engagement with the organisations they support as ‘neutral’, according to a study conducted by agencies Amaze One and Harvest, together with market research consultancy Boy on a Beach. The study also showed that only 19 per cent of respondents currently describe the relationship with the charities they support as ‘engaged’. While neutral supporters donate an average of £60.57 a year, those who are engaged with an organisation donate £91.53. This highlights just how important the Facebook donation button could be in reigniting interest, with the sector currently losing a lot of money by failing to keep donators engaged. By talking to people in their native environment, this situation could improve drastically. At the moment, only a handful of charities are currently up and running on Facebook’s donate tools in the UK – but this will change if the US is anything to go by. Across the pond, the functionality has been tested by 40 charities (including WWF, the American Red Cross and Save the Children) since November 2015. A donation button could also make sense for other social media platforms, which means that the likes of Twitter and Instagram are bound to follow suit. That's not to say it will work for everybody. Twitter, for example, might not prove to be the greatest fit, as its targeting is nowhere near as sophisticated as Facebook’s, making it a less attractive opportunity for charities. But whatever the future holds, Facebook’s donation button will soon be difficult to ignore. Charities just need to make sure that they use it carefully or they could end up doing more damage than good.